The Built-in Advantages of Contract Warehousing | Affiliated Warehouse Companies Inc.
Posted April 8, 2019 & filed under Warehouse Types. Is your company currently in need of warehouse space? Rather than investing in a warehouse or paying to lease one, consider taking advantage of contract warehousing. With contract warehousing, you can outsource all your warehousing needs to a company that will provide you with a warehouse and everything that’s required to keep it up and running. Check out some of the benefits of utilizing contract warehousing below. There are some companies that choose to buy or rent warehouse space when they need it rather than using an option like contract warehousing. If you can afford to do it, there’s nothing wrong with buying or renting space. But contract warehousing gives you the opportunity to enjoy all the advantages of having a warehouse without sinking a bunch of money into it upfront. You can also choose to stop using contract warehousing at any point if you find that it’s not working out for you without having to be concerned about selling a warehouse or breaking a lease. If your company is looking to expand into a new part of the country in the near future, contract warehousing can benefit you in a big way. Instead of having to sink a bunch of money into buying a warehouse and outfitting it with the right equipment in a city that you’re unfamiliar with, you can count on a contract warehousing company to take care of everything for you. It’ll make it easier for your company to grow and expand. As a business owner, you have a million and one things to worry about all the time. 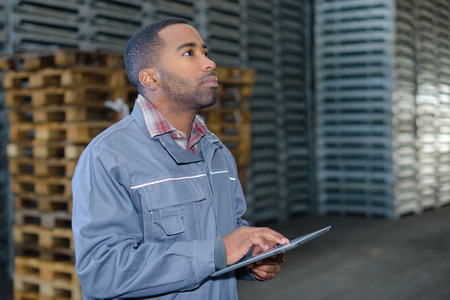 Why add one more thing to your plate by making warehouse operations your responsibility, too? Contract warehousing will allow you to take a step back and hand someone else the keys to these operations. It’ll give you time to focus on other areas of your business and make your warehouse run more efficiently. Find out more about the ways in which contract warehousing can benefit your business by calling on Affiliated Warehouse Companies for help. We can deliver contract warehousing solutions to you if they make sense for your company. Call us at 732-739-2323 today to get started.